CC2500 RF Modem is a transceiver module which provides easy to use RF communication at 2.4 GHz. It can be used to transmit and receive data at multiple baud rates from any standard CMOS/TTL source. 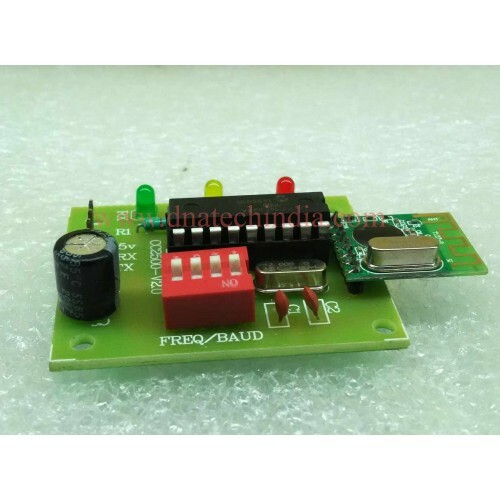 CC2500 Wireless Trans-receiver module is a direct line in replacement for your serial communication it requires no extra hardware and no extra coding to turn your wired communication into wireless one. It works in Half Duplex mode i.e. it provides communication in both directions, but only one direction at same time (not simultaneously). This switching from receiver to transmitter mode is done automatically. Supports Multiple Baud rates (4800/9600/19200/38400). Works on ISM band (2.4 GHz) which is reserved internationally so no need to apply for license. Supports multiple frequencies within the same band rate thus avoiding data collision. No complex wireless connection software or intimate knowledge of RF is required to connect your serial devices. Designed to be as easy to use as cables. 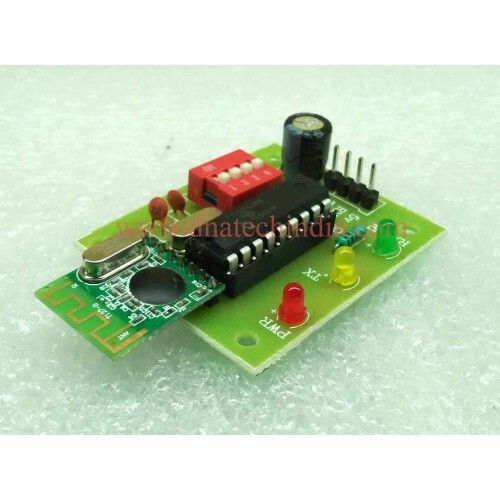 Works on 5-9 v DC supply. HC-12 Wireless Data Transmission ModuleHC-12 Module is easy to use simple serial 433Mhz wireless Mod..